When most kids turn 19, they are thinking about themselves – the party they want, the gifts they might get. But not Natasha Cooper! 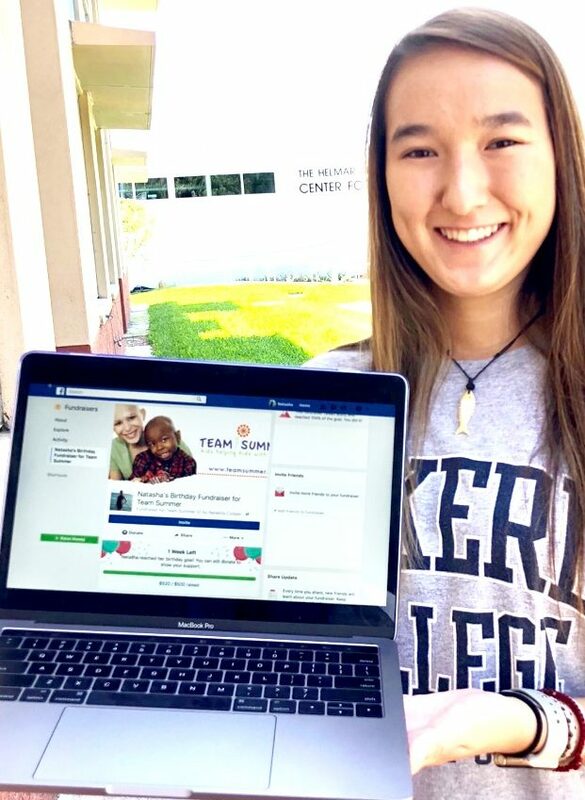 As she approached her 19th birthday, the senior in high school asked her family and friends to donate to Team Summer instead of buying her gifts. How amazing is that?? She set a goal of $500 and hit it! In fact, she even went a little higher. Back in the day, Natasha and Summer lived in the same neighborhood and were friends. Natasha, we have no doubt that Summer would be very proud of the fine young woman you have become. We love your heart! For anyone who wants to follow Natasha’s lead, here’s how: On your Facebook page, find the dropdown menu and choose “Fundraisers” if you are on a phone, or “Create Fundraiser” if you are on a computer. After that, just follow the prompts and type in “Team Summer” as the non-profit organization for which you want to raise money. Your efforts could make such a difference in the life of a kid with cancer!